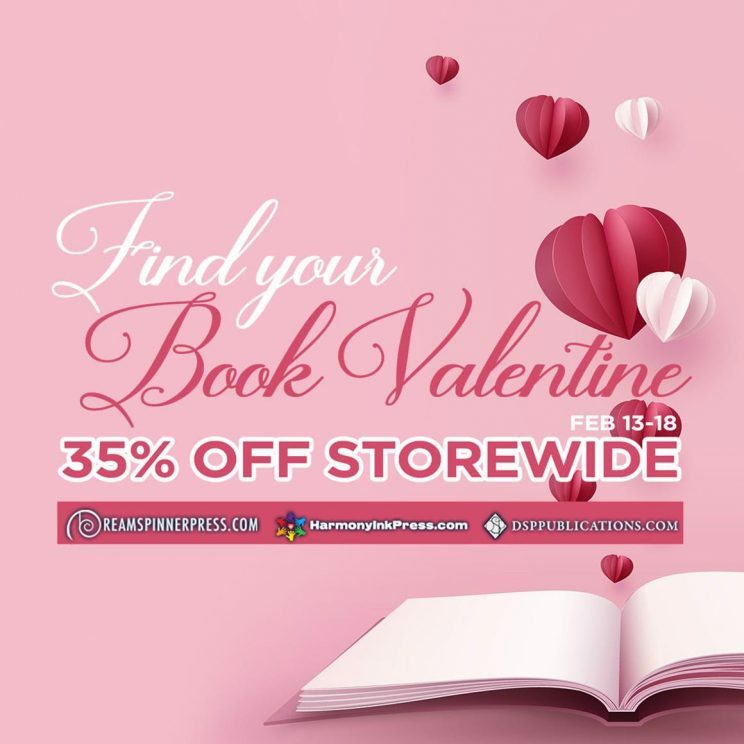 Dreamspinner Press (and it’s imprints) Valentine Sale – 35% off storewide! That’s a couple of sales in short order, eh? And pretty significant to boot! They’re also including their other imprints – Harmony Ink Press and DSP Publications. Be sure to go check it out – Dreamspinner has a lot of good books and great authors to choose from – including Grace, but I’m biased as Mr. Grace, which I think is at least a little fair, right?